The Boston Globe will do anything to keep an old story alive, even if it means repeatedly misleading its readers. 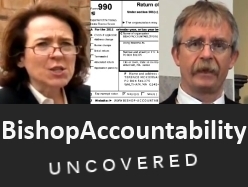 Once again, this year's newly released annual audit report by United States bishops about abuse in the Catholic Church amplifies the rampancy of false accusations, unprovable allegations against dead priests, dubious decades-old claims, and the determination of Church-suing tort lawyers and their allies to drain the Church's coffers. Yet in an article by staffer Matt Rocheleau, the Boston Globe continues to try to convince the public that abuse is somehow still a current problem in the Catholic Church. only a mere 15% of all allegations last year were even deemed "substantiated," while nearly two thirds of the accusations were deemed either "unsubstantiated," "unable to be proven," or still under review. So we will say it again: The story of abuse in the Catholic Church is less "news" and more of an attempt to extend a story line that croaked many years ago. And the only real reason why lawsuits and accusations are still flying against the Catholic Church is that a number of states have enacted "window legislation" which enables anonymous accusers to make decades-old allegations against now-deceased priests. 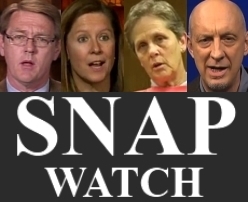 In the case of this past year, window legislation in Minnesota – home of the notorious Church-suing lawyer Jeff Anderson – enabled various accusers and flimflammers to step forward claiming abuse from many decades ago. There is an important and notable fact in this year's report. 25 current minors came forward in 2016 alleging that a current priest abused them. Many of the cases are still under investigation, but of the 13 allegations in which a determination was made, only 2 were found to be "substantiated," and 11 were found to be completely bogus. Chew on that for a moment … 85% of these contemporaneous accusations in which a determination was made were found to be outright fraudulent. If the contemporaneous accusations are such frauds, can you imagine what the fraud percentage is of those claiming a priest touched them 30, 40, 50 years ago? Also keep in mind that 73% of the cases brought to the attention of dioceses last year were brought by a Church-suing lawyer. This is the story that the Globe and the left-wing media need to report. 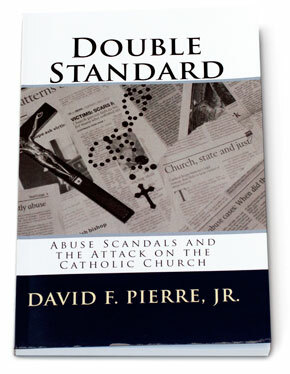 False accusations against Catholic priests are rampant. But the Globe does not report this part of the story because it does not fit the bogus Spotlight movie story line. Once again, we repeat that the Boston Globe's reporting has absolutely nothing to do with the "protection of children" or the tragic abuse of kids. 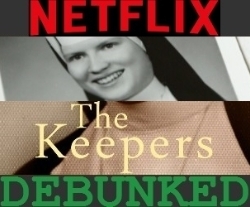 It has everything to do with bludgeoning the Catholic Church for what it stands for and earning kudos from others – such as those in Hollywood – who also detest the Church. [Addendum (6/6/17): We would like to respond to some readers who are unclear on what the report defines as an "unsubstantiated" allegation. Here it is, straight fron the report itself (emphasis added): "'Unsubstantiated' describes an allegation for which enough evidence exists to prove that the abuse did not occur" (p. 21 of the pdf / p. 10 of the report). 2. 'Spotlight' Exposed: The definitive 'Spotlight' review. And – yet again – mocking ‘Dan’s whackeries is not the same as mocking God – not by a long shot. Unless ‘Dan’ is so closely connected to God that to mock ‘Dan’ is to mock God, but then we’re down the rabbit hole of his delusional system. Then, having set up his blocks just so, ‘Dan’ can indulge in his favorite pastime, tossing up pericopes … the interpretation of which only work if you’re wearing ‘Dan’s secret speshull glasses. And when you come to the end of it, ‘Dan’ has “explained” nothing. His ‘explanations’ only work if you’re wearing ‘Dan’s secret speshull glasses. I’m not “playing dumb” – and I will say that I don’t think ‘Dan’ is playing at being dumb … with him it’s the real McCoy. And the key point – yet again – is that ‘Dan’s “words” are not God’s Word; ‘Dan’ can quote scriptural pericopes all he wants; his interpretations of them are his own, not God’s. God’s Word – after all –makes sense. In the matter of interpreting the Bible according to one’s preferences (individual or collective) I would point out as an example that some Protestant polities on the evangelical-fundie end of the spectrum have made it a point to embrace the literalism of the Bible … except that whenever the Bible says “wine” it actually means grape-juice (since those particular polities or sub-polities are against alcohol and fermented beverages). P.S. I personally prefer beer, but don't believe in getting drunk. Why? Because the Bible says we're not to get drunk. Besides, it can lead to terrible, stupid mistakes.